Lost the bid for the villains to Hinnom. Gold is refunded. The dangers of overtax-patrolling. 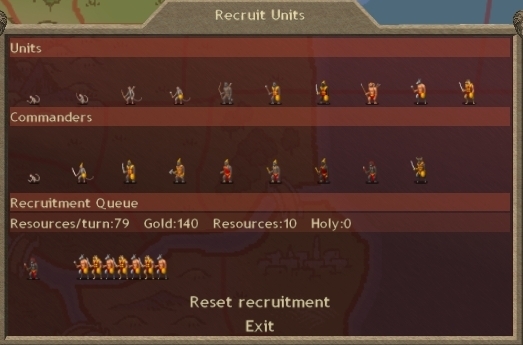 Most people use their starting army for fighting. If you're going to do long-term patrolling instead, you have to micromanage the tax rate when you get a bad roll. See above. I am not happy about enemy dominion basically everywhere. If I'm pinned onto this island the starting position goes from annoying to awful. 32 Ichtyids in all their glory. The unarmored Ichtyids have single-shot nets, which reduce defense to 0 until the caught unit breaks free. 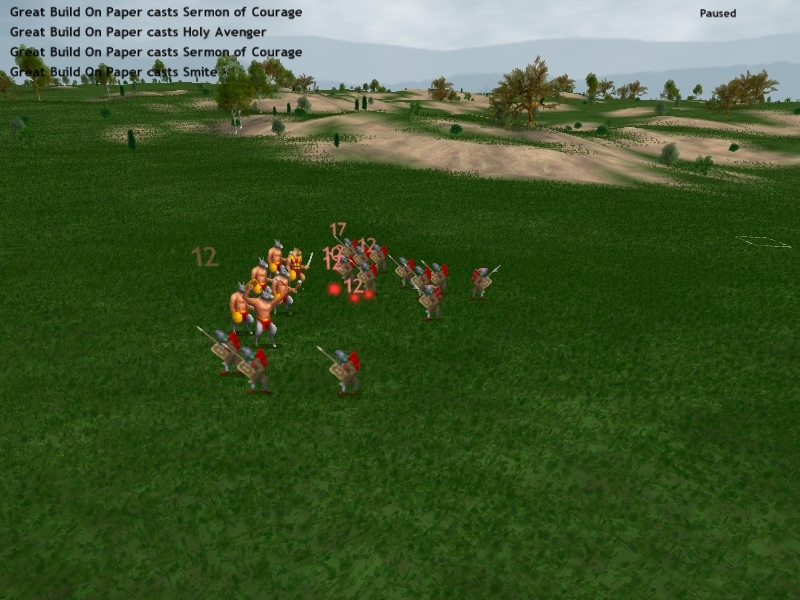 One of my Anusara dies to their opening volley. After that, the spear-wielding Ichtyids can't touch the demons, and are slaughtered. 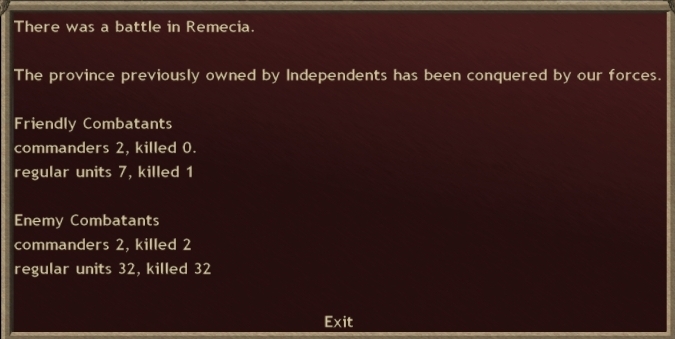 Independent forces are labelled as "killed" even if they are only routed. Most expansion battles are like this. I won't do in-depth for minor battles in the future, unless there is something noteworthy to point out. 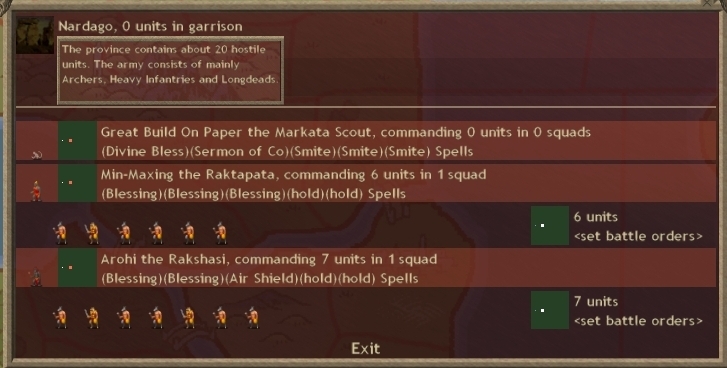 With an adjacent province, I have the resources to recruit a higher ratio of Palankasha. It pays to reinforce your expansion armies. Keeping critical mass will reduce attrition losses. 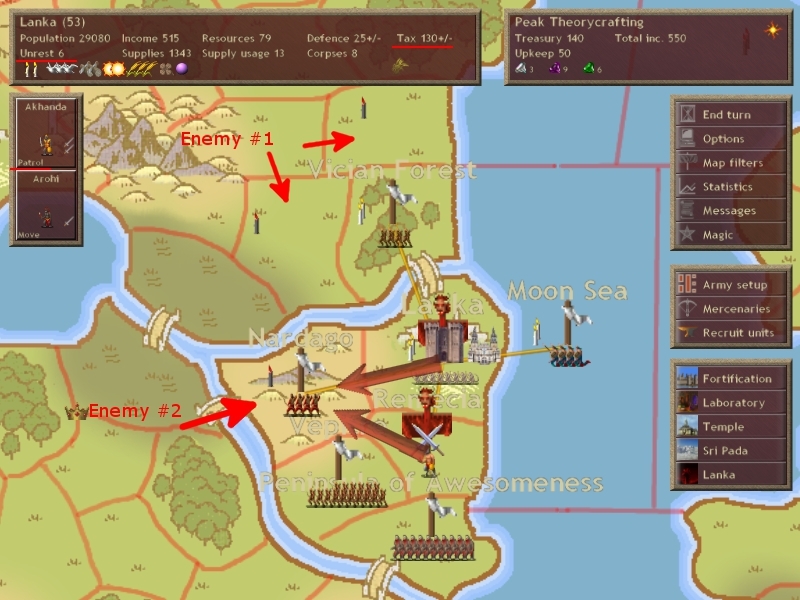 I'm attacking this province because I want to know how close the source of the enemy dominion is. 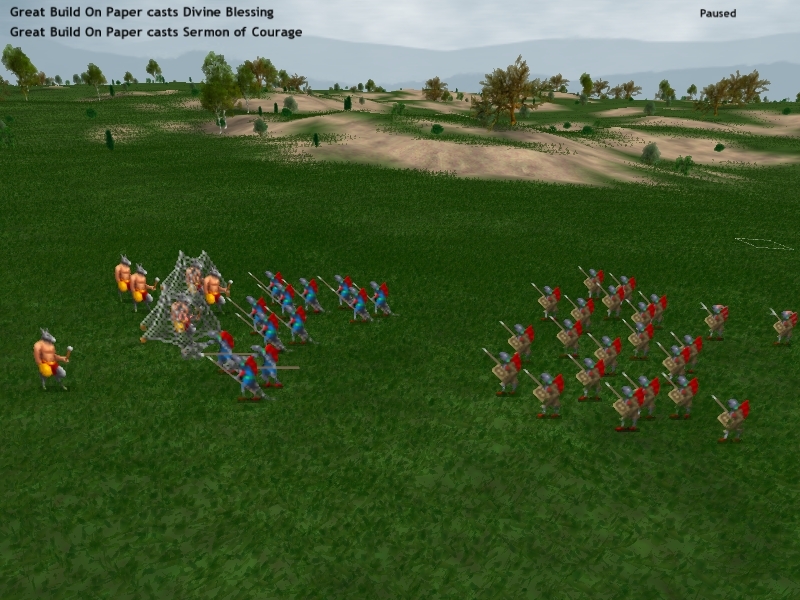 Anusara are somewhat vulnerable to archers. Placement on the back row means the enemy volleys are less likely to hit early on. 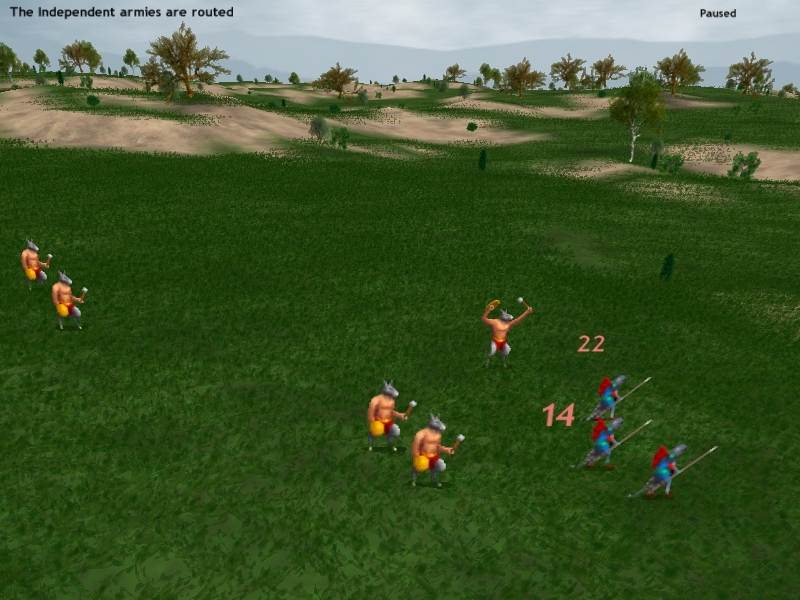 I debated using Hold and Attack, but decided against as I don't want my commanders to get hit by stray arrows. 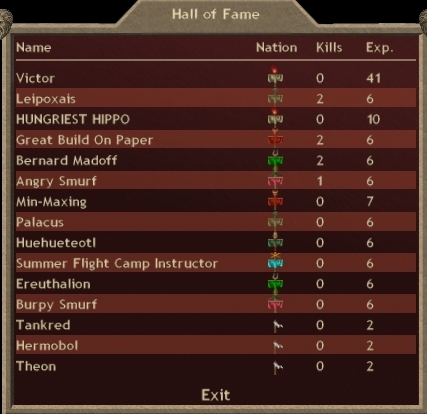 In a small game (7 players) with an expanded Hall of Fame, it's pretty likely that both your scout-prophet and your commander will end up in the HoF after one battle. Hall of Fame membership is determined by kills + experience. With this in mind, I made sure to name both commanders, as you can't rename after entry into the HoF. Entry to the Hall of Fame earns you a permanent heroic ability. 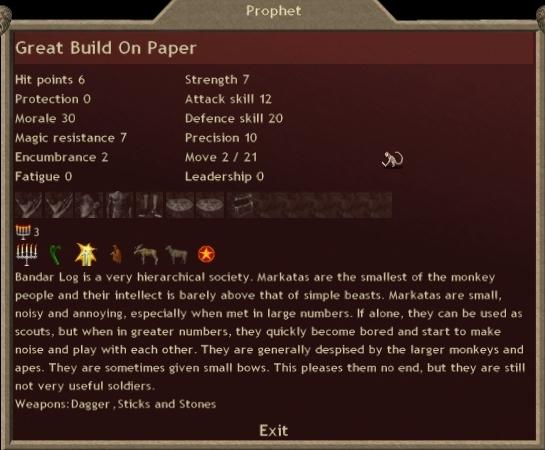 Great Build On Paper, the Markata Scout Prophet, earned Heroic Strength. He is now almost as strong as a normal human. Hopefully his continued use of Smite will keep him in the Hall of Fame. 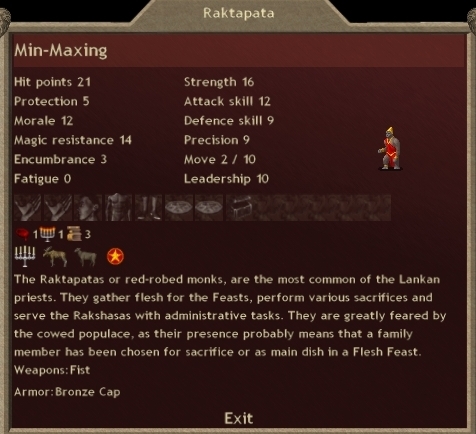 Min-Maxing, the Raktapata priest-mage, earned Iron Will. Unfortunately, I seriously doubt he will remain in the Hall of Fame, as he has no useful offensive spells.